Asia’s leading integrated resort destination, Sands Resorts Macao is made up of 8 world-class hotel destinations, The Venetian, The Parisian, Sands Macao, Holiday Inn, Conrad, Sheraton Grand, St Regis, Four Seasons and their combined 12,000+ rooms, 850+ shopping outlets, venues and theatres, and 150+ restaurants, ranging from casual to fine dining. Together they provide a seamlessly integrated environment designed to make your getaway unforgettable. 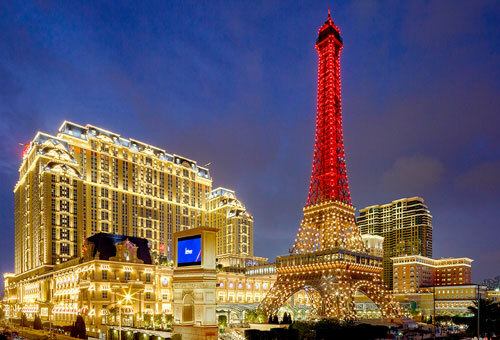 The newest jewel in the crown of Sands Resorts, The Parisian Macao brings the City of Light to life in Asia, with its own 1/2 scale Eiffel Tower, approximately 2,500 elegantly appointed rooms and suites, and architecture designed to transport you straight back to la belle époque. Let the kids roam free at the Kids Kingdom while you dine at La Brasserie or peruse the best in fashion, accessories, and gadgets curated by our selection of boutiques, home to over 170 of the world’s top brands, or just sit in your room and take in the view of the Eiffel Tower. 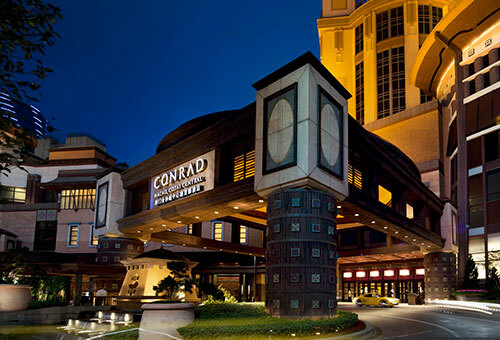 Bringing Forbes Travel Guide certified, world-renowned Conrad service to the Cotai Strip, the Conrad Macao is the largest hotel in the group. But, it’s personalized service make it feel like the smallest. 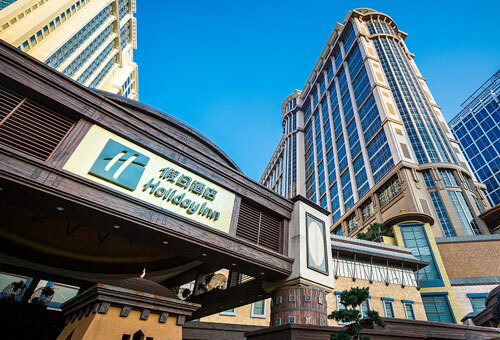 Exquisite rooms and exclusive suites are your staging ground to explore a world of 850 shopping options, award-winning spa treatments, and a mixture of Asian, Cantonese, and Macanese flavours to tempt your tastebuds. Here, you can truly revel in the uniquely Conrad ‘luxury of being yourself’. A modern hotel, decorated with a contemporary flair, and perfect for the entire family to enjoy. Our rooms and suites, all 1,224 of them, are comfortably appointed, with in-room amenities and spacious interiors. 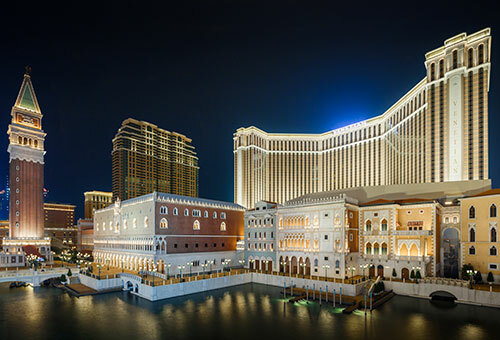 While the hotel is just steps from the 850 Shoppes at Cotai Central, Venetian, and Four Seasons, it’s the hotel for families to explore all the resorts have to offer, from pool decks, spas, and shops, and the Qube 2 Kids’ Play Zone. 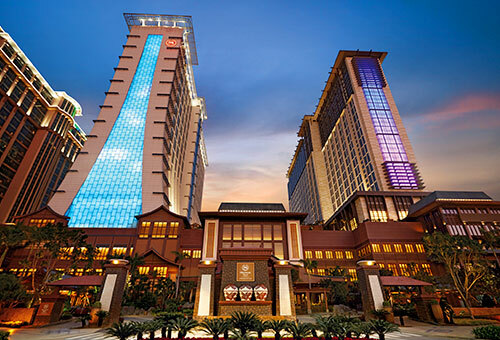 Home to over 4,000 rooms and suites separated into two towers “Sky and Earth”, colorful activities for kids, sumptuously decorated rooms, a poolside café, and signature Sheraton amenities, and King Julien’s Jungle Hut, the Sheraton Grand is the Macau destination for friends, families, and business travelers to put their busy minds at ease and enjoy their time in the city. Pick up your very own Sheraton Macao teddy bear to accompany you on your way home or to surprise that special little someone when you get there. 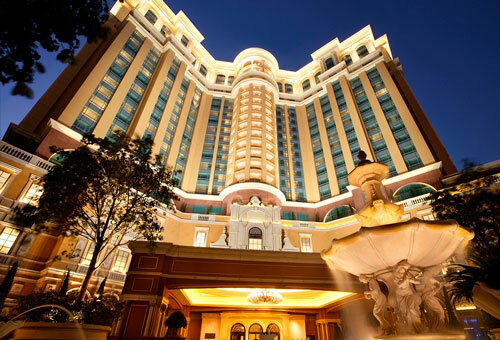 A selection of 400 rooms and suites, elegantly designed in a blend of global decorative styles, uphold the stately St Regis reputation in Macau. Our finest locale, amenities go above and beyond what a standard hotel is able to achieve, encapsulated by the incomparable St Regis Butler Service. Let them help you to coordinate activities, whether it be a relaxing treatment from Iridium Spa or an elegant gala, so you can focus on your carefree vacation. 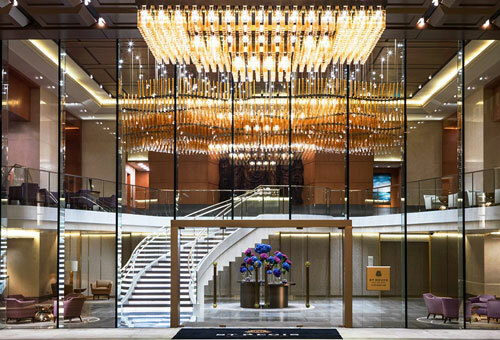 Treat yourself to a getaway at the most glamorous hotel on the Cotai Strip, Four Seasons Hotel Macao. Our mere 360 elegantly appointed and impossibly chic rooms and suites make this one of the most exclusive hotels in the entire city. Our selection of 160 of the best high-end brands for our Shoppes only adds to the hotel’s sense of wonder for the first-time visitor. Forget hustle and bustle; being a guest at Four Seasons Macao demands you take your time, that you savour every moment. 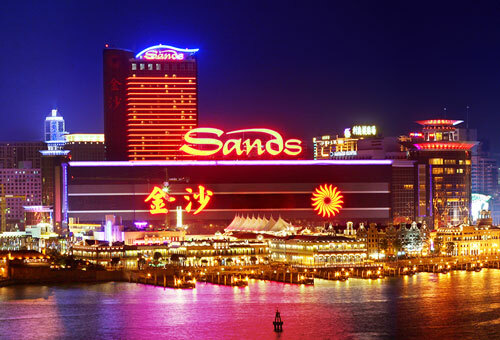 The very first Las Vegas-style hotel to grace the city, Sands Macao started it all. Its simple 289 suites are still found at the heart of the city, decorated with modern designs and fitted with luxurious amenities. In addition to the playing floor, the hotel is home to the Paiza Spa & Salon, restaurants, and entertainment from the Columbian All-Stars, Sands Sirens, and 5th Street. Feast at 888 Buffet as part of the Sands Resorts Buffet Pass or sample the best steak in the city at Copa Steakhouse – a favourite of the executive chef at The Parisian Macao!